A struggling drug addict has been given a chance to get clean by a court despite being caught buying two wraps of heroin. 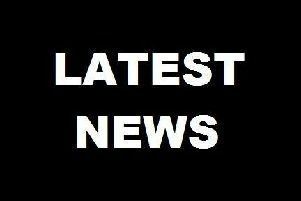 Chesterfield magistrates’ court heard today, Wednesday, June 29, how Lianne Jennifer Winters, 35, of Baden Powell Avenue, Chesterfield, was stopped and searched by police during a drugs raid at a flat in Chesterfield. Prosecuting solicitor Becky Allsop said: “A search warrant had been executed at an address and as Winters was leaving the entrance of this complex she was stopped and searched and police found she had two wraps of 0.29grammes of heroin with a street value of £20. The court also heard how the woman at the flat has been dealt with at crown court and has been given a custodial sentence. Winters, who has a previous conviction for possessing drugs, pleaded guilty to possessing 0.29grammes of diamorphine, a controlled class A drug, after the incident on April 8. Defence solicitor Julie Page said Winters had done well under a drug rehabilitation programme but she had suffered difficulties in her personal life and had relapsed into drug use. Magistrates sentenced Winters to a 12 month conditional discharge but warned that if she commits a further offence in the next year she will be resentenced for the drugs possession alongside any new crime. They told Winters that they recognised the efforts she was making to get clean and they want to give her a chance to come off drugs. Winters was also ordered to pay £85 costs and a £20 victim surcharge.